Australia's Northern Territory has been declared free of Banana Freckle. The proof of freedom was handed down on 1 February 2019. The fungal strain, Phyllostica cavendishii, had been detected in July 2013. The National Banana Freckle Eradication Program was launched in October 2014 and carried out in four phases over three years. The Program was Australia’s largest cost-sharing emergency plant pest response under the National Emergency Plant Pest Response Deed. Banana growers across Australia funded half of the costs of the Program through a levy. Funding was also provided by federal and state governments. The Northen Territory's Department of Primary Industry and Resources also provided financial and in-kind support. The strain, which is capable of infecting Cavendish cultivars, has not been found elsewhere in mainland Australia. 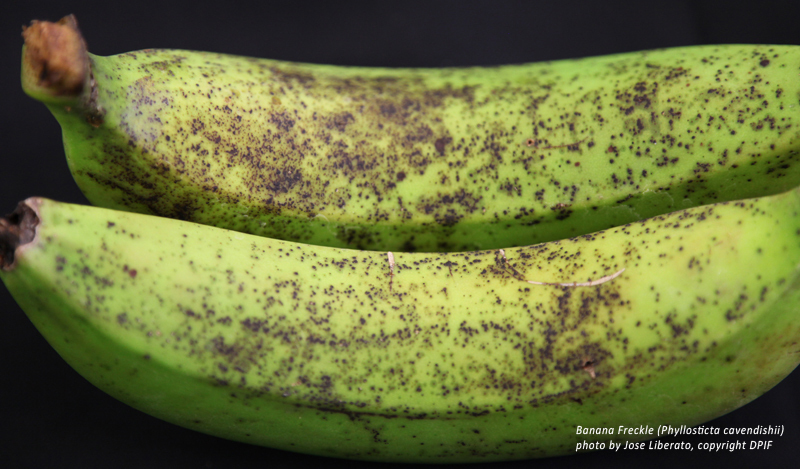 Banana freckle will remain a declared pest in the Northern Territory.